We’ve heard the stories. We’ve seen the footage. We’ve heard of the legendary Sasquatch. We’ve watched Harry and the Hendersons. 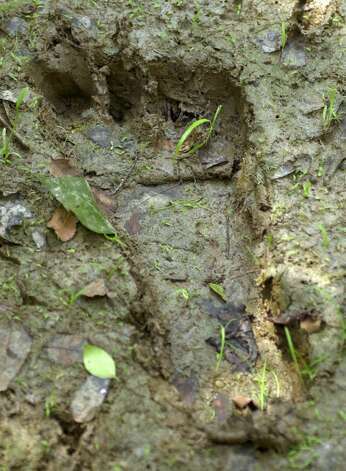 In a philosophical (or comical) way maybe we are all looking for Bigfoot. I know many of the masses of good people out there are sure seeking desperately for something to help connect them to something more primal and natural. Folks are looking to still remain connected to mother nature particularly in today’s digital age. A digital age in which we are much more “connected” but much less real. We live currently in an age of information (and mass propaganda and misinformation) and “communication” overload. An age where actual natural and honest communication and real face-to-face interaction is rapidly shriveling away! I see the same trouble in the dog behavioral world. Friends, I can honestly say you’d have an easier time discovering Bigfoot than you would finding a good solution to your dog’s behavioral issues IF you’re attempting to use mainstream, typical obedience training! If you examine the history of dog training and study it down through the ages you would find most of it doesn’t really apply to today’s house-dogs. But almost every local company I know of today is still using these same exact cookie-cutter methods! Almost all “training” and “behavioral modification” is based in excitement and the usual methods would have us raise our energy (and our voices) with or at our dogs. We’ve all heard and many times even used the all-too-common phrase, “Give the dog a job to do.” Or, “This breed really needs a job.” I’ve even used that phraseology and thinking in the past but it is now high time we move on! It’s high time we realized our house-dogs are retired! And it’s OUR job to help them understand we want them practicing “retirement level” energy! Our house-dogs need to learn to sit back, relax and enjoy their lives by keeping their energy under control! Calmness and Relaxation should be top priorities for Every house-dog! Get rid of “typical obedience” and “training” and develop a relationship where you can control and calm your dog’s energy so they can learn to go with the flow and be calm and social. Please believe me when I say you can throw all the agility, herding, and other “jobs” you want at your problematic dog and it still will NOT fix or cure aggression, or fear, or anxiety. Real communication, and a relationship with energy control and spacial control are what matters in preventing or curing behavioral issues. If you don’t have that type of relationship with your dog you’re just out spending your time and energy looking for Bigfoot! Don’t forget to click to “Follow” this fine, entertaining, humorous, educational, doggy blog!